The interior in the Uzbek style, but with modern. Inside the eyes can already relax. 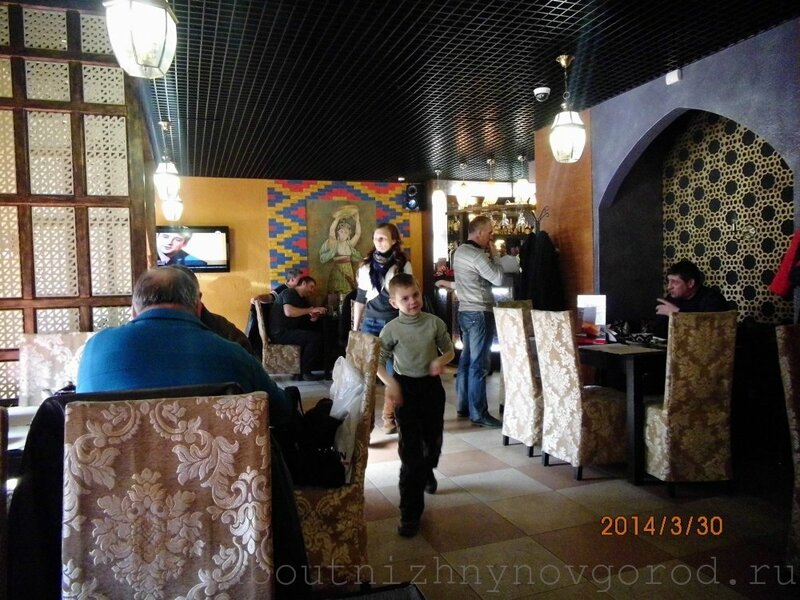 There are hints of Uzbek flavor, though, we must pay tribute, the owners did not turn the situation into a parody, slightly marked and that’s enough. The room is small (for 30-50 people), in the next room, you can join the Uzbek culture a little deeper – to sit on the carpet, and not on chairs. In the summer tables are set the patio too. 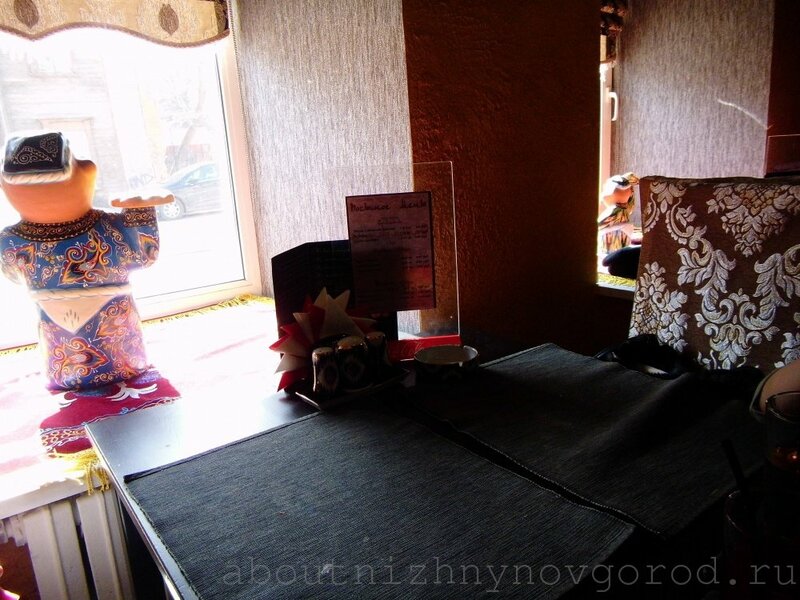 Music, when we visited this cafe, was modern, with a hint of oriental motifs. The waiters are not in a hurry to each guest, but to wait until the irritation has not yet had. In comparison with cafe “DejaVu” a little bit more atmospheric, comparable prices, more interesting in terms of beer. And, perhaps most importantly, Uzbek (Eastern) cuisine. Langman, shourpa, samosa, rice, manty (big dumplings) and other represented adequately. 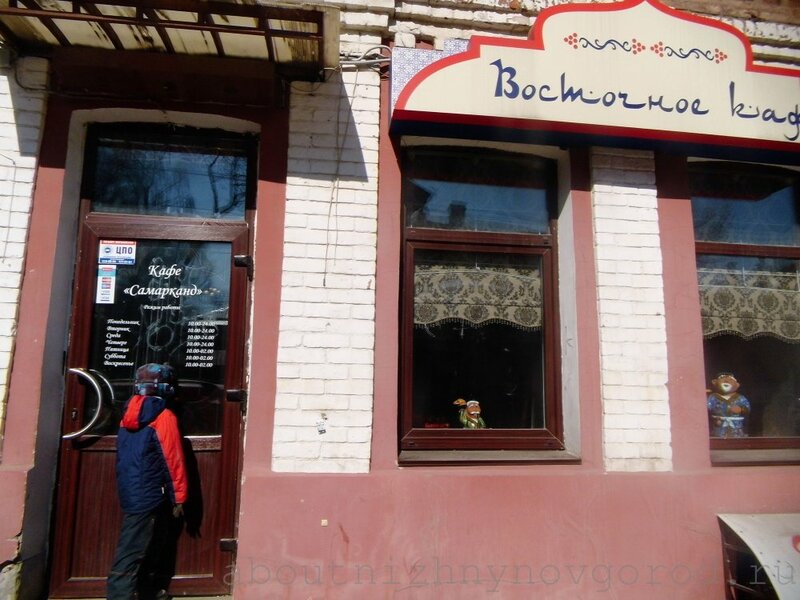 The price for the center of Nizhny Novgorod, reasonable. You can find cheaper, well we will describe these institutions, but cheque pleases for the such excellent quality. For example, on the photos: manty, solaynka, chicken giblets (pictured is not a full portion) and samosa which is not in the frame, – has fed our family of three with a stock. (Left without alcohol less than 1000 roubles). In the Bar there are presents a variety of strong drink and not very. Draught beer only two varieties, but the dark pheasant for its price (140 rubles per 0.5) is pleasant enough even such connoisseurs as I. Of course, tea (not tea bags), coffee, juices in stock. Mors. Fans can take a hookah. Unfortunately, I can not assess, as it is, because not addicted to this “rite”. Smoking, by the way, in all rooms until of the relevant law. How things are after, we gonna to go, to rate, to add description. 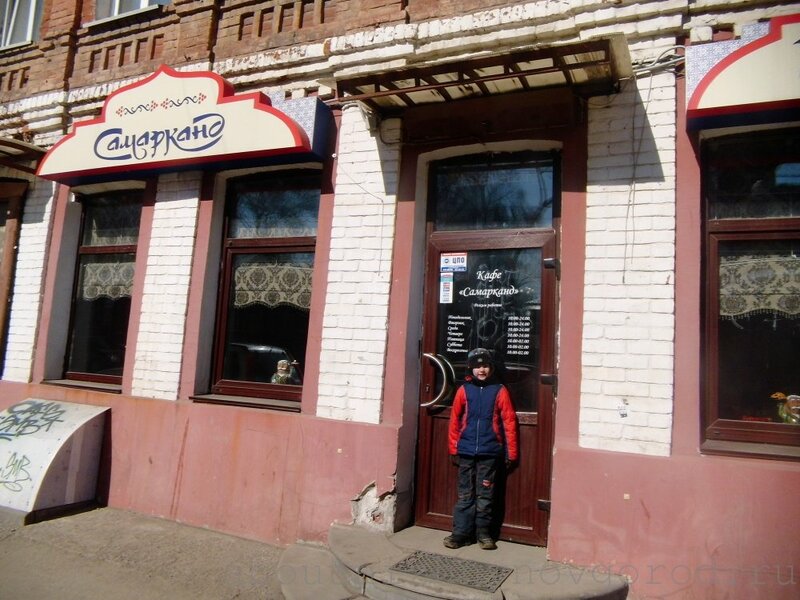 Patient readers may appreciate the cafe Samarkand via better photos in the gallery. 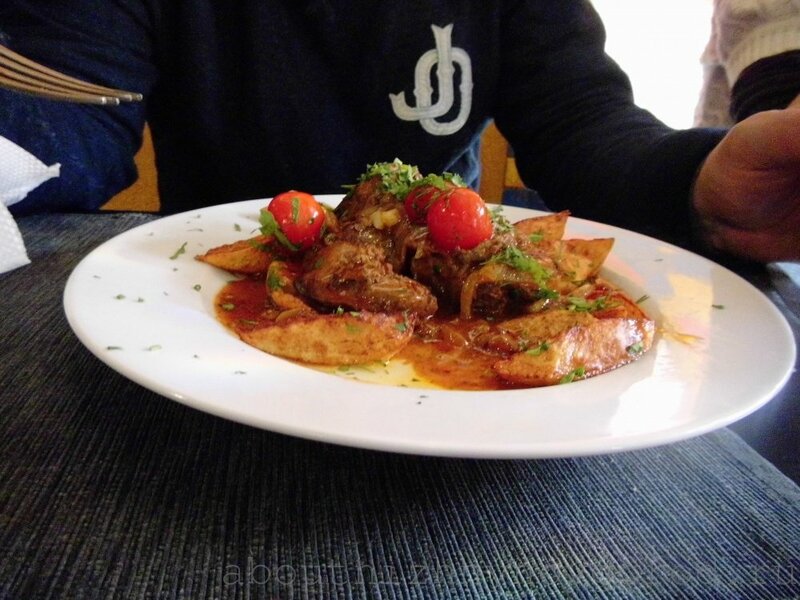 Our estimates (1-10): service – 7, cuisine – 9, price/quality – 10, atmosphere – 7. So happened that we with my friends appreciate the cafes and restaurants primarily in terms of solanka. 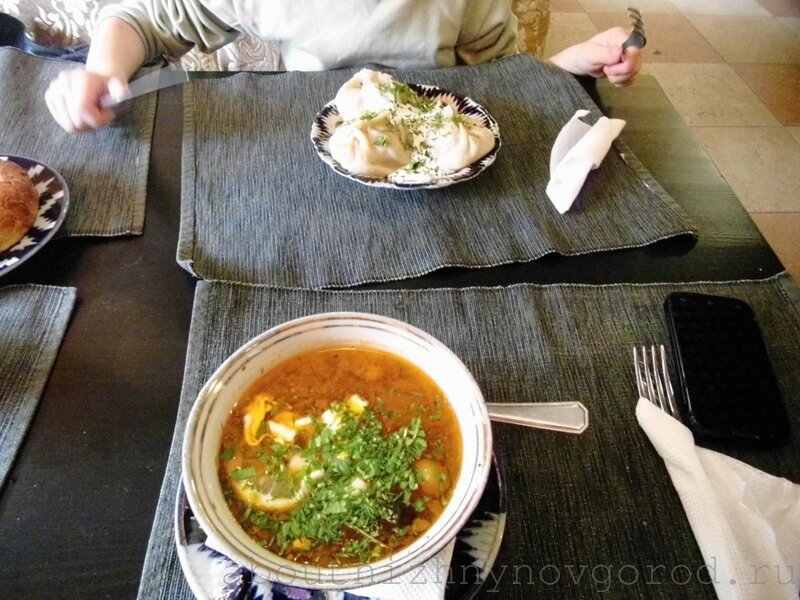 Although this dish does not apply to the Uzbek cuisine, but since it appeared on the menu, my assessment «hodgepodge – 7», slightly understated, because that’s still not the classic. Evaluation of toilets: clean, tidy, modern. Maybe in Uzbekistan bathrooms now are such ;), so you can enjoy for uzbek people because they have “as in European”. Credit cards are not accepted. No delivery, no separate parking. Vladimir (was once): Worse “Dejavu” and certainly does not compare with oriental “Ali Baba”(but there’s more expensive). Not very much cohort. suitable to go grab a bite. Natalia: Naturally, tasty and inexpensive. A good place. How to get to the street Bolshaya Pokrovskaya (Large Intercession), can be found in many sources, so then go to the middle of this Nizhny Novgorod attraction to its intersection with tram tracks. If you go to Gorky square, then turn right, left otherwise :). Pass about 200 metros and look to the left.Guided by the sign (see photo).